We are proud to share the new collaboration with “Bellagio Seta” and its wonderful displays in the most important Hotels in Lake Como. Located in a suggestive position of Lake Como, Hotel Tremezzo has our latest Summer Model, The Harleq New Gen! 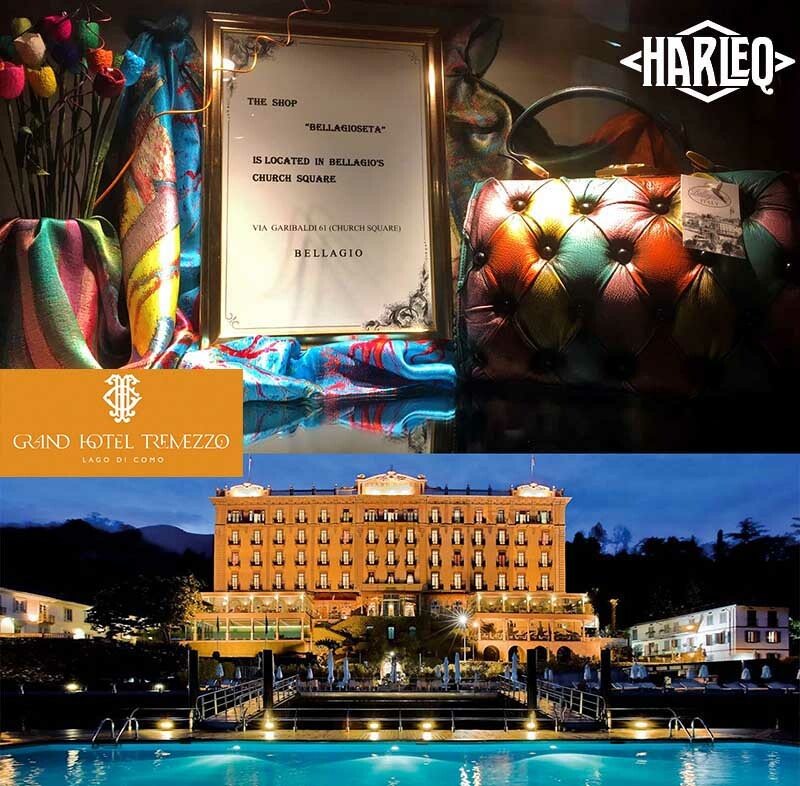 On the other side, in the city of Bellagio you can find our Classic Harleq Bag in another outstanding 5 Stars Hotel, The Grand Hotel Villa Serbelloni!